Learning about storm water is fun! 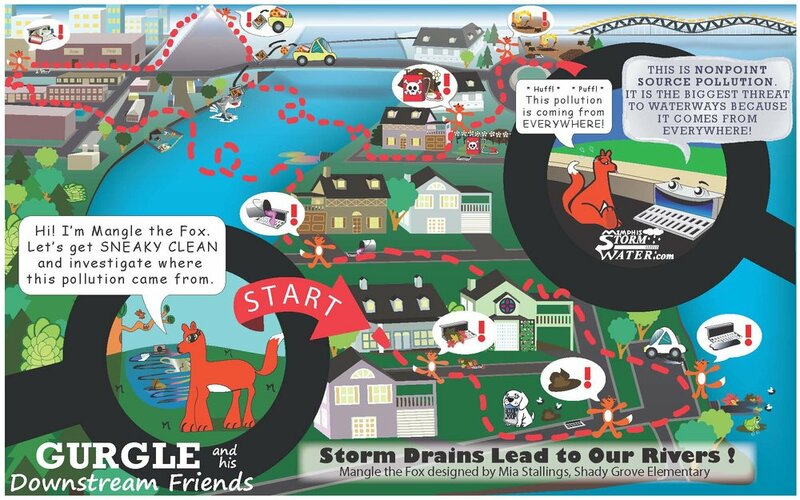 Clean Waterways kids game shows how variety of pollutants that can enter the storm water drainage system and go into rivers. National Oceanic and Atmospheric Administration (NOAA) fun water and weather games. 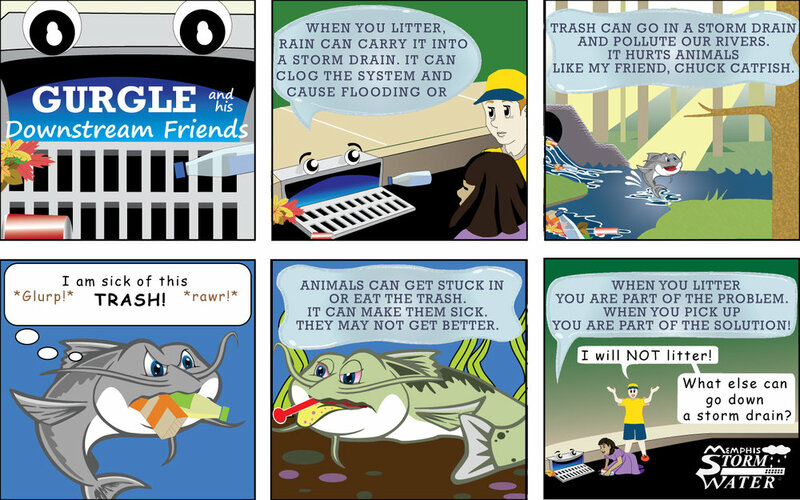 EPA's Stormwater Challenge Word Puzzle - Take to Stormwater Runoff Challenge! 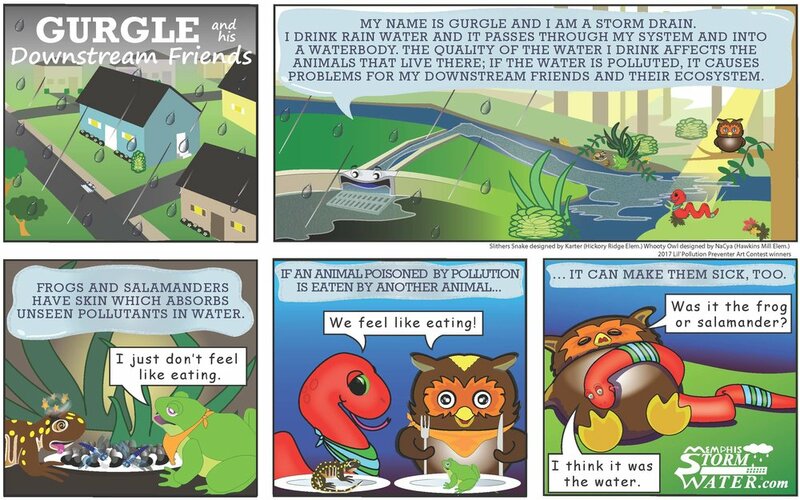 Color one of our fun coloring pages and help Gurgle and his downstream friends protect storm water quality! 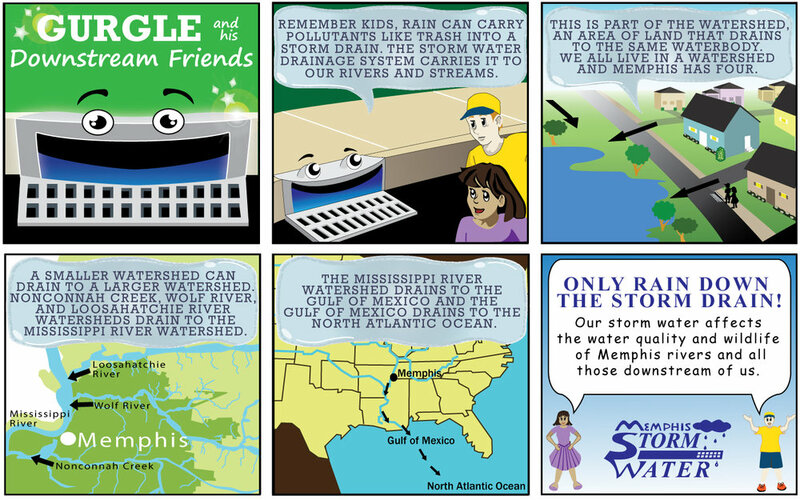 Email your picture to Stormwater@MemphisTN.gov with your name and age and we’ll post it in our kids gallery! Kids, You are the future! 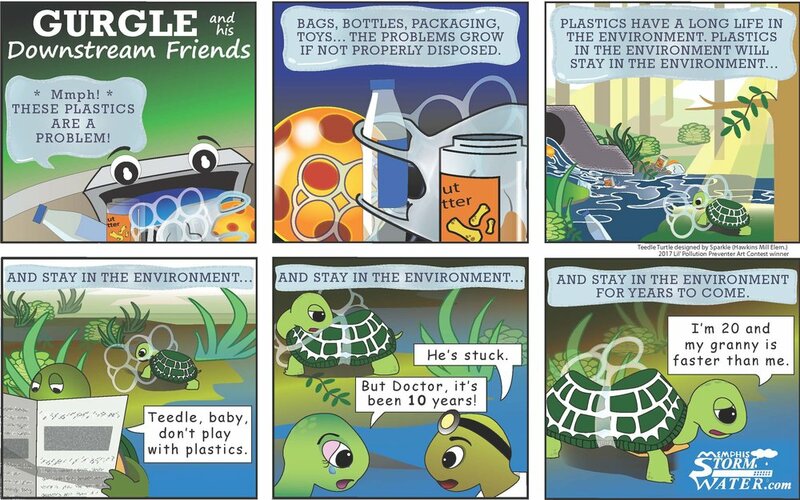 Be a “Pollution Preventer” and make a positive impact on storm water quality! Make a Splash and enjoy our rain and rivers! We want to see, so send your name, age, and the picture to Stormwater@MemphisTN.gov and we will add it to our Kids Gallery!